The Rogue Valley Chorale Association welcomes Michael Morris as its new Artistic Director! Michael Morris is a seasoned voice teacher, conductor, and singer with over 40 years of professional experience. 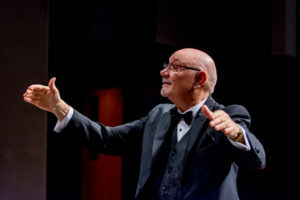 He has served on the music faculty as the Director of Choral Activities and a member of the Voice Faculty at Holy Names College in Oakland and Notre Dame de Namur University in Belmont, as well as serving on the Music Faculty at Ohlone College in Fremont, Santa Clara University, and De Anza College in Cupertino. 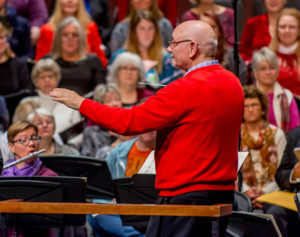 Michael has been the Music Director and Conductor for such diverse organizations as the Mission Peak Chamber Singers, Lyric Theatre of San Jose, Los Altos Conservatory Theater, Los Altos United Methodist, Saint Jude’s Episcopal Church in Cupertino, and Saint Simon’s Catholic Church in Los Altos. Michael is also a well-known and respected baritone soloist, having sung the leading roles in some 80 operas, operettas, and musicals with such companies as Opera San Jose, West Bay Opera, and Rogue Valley Opera. He is a frequent soloist for concert work with large orchestras and choral organizations. A voice teacher for over 40 years, Michael is known as a “teacher’s teacher” and instructs many professional singers and music teachers in his studio, Michael Morris Studio, LLC, that has run continually since its founding in 1976. 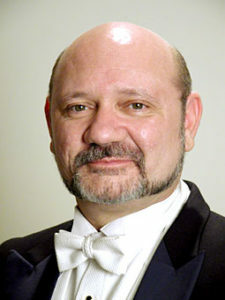 He is also an experienced clinician for voice, opera, choral workshops, as well as vocal master classes in repertoire, performance, and audition technique. Michael received his Master of Music Degree in Vocal Performance from Notre Dame de Namur University and his Bachelor of Music Degree in Music Education from San Francisco State University. He studied op-era at the American Institute of Music Studies in Graz, Austria where he received the George London Award for Vocal Performance. We are thrilled to hand the baton to this outstanding Artistic Director and anticipate many years of creating exceptional choral musical performances. Michael recently relocated to the Rogue Valley with his wife Linda, who will also be joining the Rogue Valley Chorale as an alto. Welcome.